April | 2012 | Killed in a Smiling Accident. I did spend quite a lot of time on the character creation screens, though, wallowing in the luxury of ample time to adjust nose width and brow depth without the nagging feeling you get once a game goes live that you’re in a race with an Evil Society of Name Thieves to get to the “Enter character name:” box, that every second spent considering the precise tint of hair colour is a step closer to the accursed defeat of “Sorry, that name is not available”. Or maybe that’s just me. Character customisation is reasonable; not right up there with APB, but a decent array of options, and ArenaNet at least remembered to do some work on the rest of the game. The Charr seem quite interesting, they get good horn sliders and some fun fur patterns, but I’ve never really got into anthropomorphic characters so spent less time with them than the Humans or Norns. Syl posted about the generically attrative faces of GW2, and Humans suffer particularly badly. A lot of the faces, especially female faces, go past photoshopped-model-in-glossy-magazine into slightly freakier animated-porcelain-doll territory, they just didn’t look right to me. GW2 is also slightly unusual in that, at least for this beta build, facial details such as scars, wrinkles and make-up are part of a head-package, not elements that can be added or tailored individually; I’m not sure if that’s something they’re planning on changing, but I found it quite tricky to get a Human head I was really happy with. Norns were much better, plenty of character in most of the male faces and a few female options from outside a glossy teen drama, plus the ability to add tattoos to mix things up a bit. Granted the high level female outfits shown during creation were heavy on the cleavage and midriff, and if there was any equivalence then male Norn casters would excel at smuggling budgies, but I think that’s been beaten that to death recently. With a high-heeled boot. In summary, then: Guild Wars 2 has a character creator, and after that you run around a bit. Join me here at KiaSA after the next beta weekend when I hope to be able to shed some light on the rumours that you can “press buttons” to “use skills”. This entry was posted in games, guild wars 2, zoso on April 30, 2012 by Zoso. A wedding? I love weddings! Drinks all around! As usual I’ve spent a large part of my time noodling around in the character creator during Guild Wars 2’s current beta event. I think I’ve got my characters planned, a Norn Guardian and a Charr Warrior, with the Guardian being my main. Of course m’colleague will snort merrily at this and tell you that I will, therefore, be playing a Sylvari Thief come release. I am certainly well enough aware of my altitus to not be able to rule out such a situation occurring. 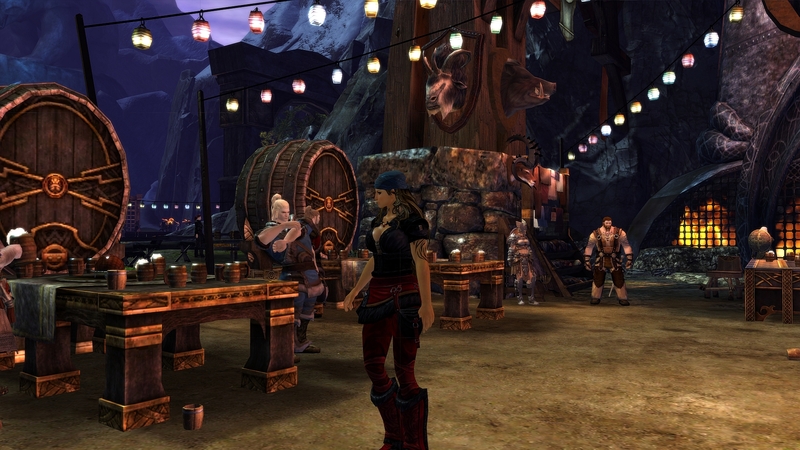 Brawling, booze and infeasible cleavage – welcome to Norn Town. I’ve played through some of the early levels to get a handle on the various classes, and I’ve raised a few bug reports, so I have to say that I feel my time in the beta was both worthwhile and enjoyable. The game clearly has some work to be done, but then for all we know we may not see a release for six months or more. I think the important thing to consider is whether the lessons of beta have been learnt, the outcome of which will become clear when the next beta takes place. Regardless, I’ve seen enough –even in its current condition– to know that I will be playing the game for some time, and that it will probably become my new World of Warcraft or Lord of the Rings Online – games which have both served me well for five or more years of play, on and off. I can’t really report much on the game content as such, because I didn’t advance terribly far with any one character; I have no intention of playing through it all again come release – O, that way burnout lies. I’d rather save the content for when I can savour it, knowing that any progression my character makes will actually count for something. The beta simply hasn’t changed my opinion for better or worse – I think that Guild Wars 2 will be a great game, that I will get a lot out of it, and that ArenaNet will have a very solid foundation on which to continue building their Guild Wars franchise. Is it going to change the world? No. Is it going to be a very strong player in the MMO market and influence those theme park MMOs which follow it? Yes, I do believe so. I still regret not having involved myself in the original Guild Wars culture, and I don’t intend to make the same mistake a second time. The thing with Guild Wars is that it’s more than just a game – it is a community. Much like I find the game-play of EVE not to be for me, I can still admire the community. And I do. The devoted passion of EVE’s players is something which I also recognise in the Guild Wars community, as well as in the team at ArenaNet, and I feel that it is this passion which is intrinsic to the best of MMO experiences. MMOs are more than just the games we play, they are the communities which form around the games, and this is what should make them different and special. Somewhere along the way we seem to have lost this depth of community. Perhaps the player-base has been spread too thinly with the wealth of MMO choice in recent years; perhaps developers have failed to instill, or even enable, an appropriate sense of community within their player-base; perhaps players have been spoilt by the bigger MMOs, and a sense of selfish entitlement precludes a solid community forming. Certainly the latter point is my main concern for Guild Wars 2 at the moment, the sense of entitlement and complaint over the issues found in the current beta have been… excessive, to my mind. Wanting to have your issues resolved is entirely understandable, but the foot-stamping, nappy-flinging, red-faced wailing that occurs amongst a certain set of players every time they don’t get an absolutely immaculate MMO experience, or find themselves hindered by an issue for any longer than a nanosecond, casts the MMO community as a whole in a terribly bad light. It is healthy to lust for perfection, but only deranged fanaticism could demand it unconditionally. So, Guild Wars 2: so far as I can tell it’s a great game, one which will not shake the foundations of the genre, but will almost certainly strengthen them; we’ll just have to wait and see if it develops the solid community it deserves to go along with that. This entry was posted in guild wars 2, melmoth, mmo and tagged guild wars 2, melmoth, mmo on April 29, 2012 by Melmoth. A list of (hopefully) useful tips and tricks we’ve found while rummaging around in the Guild Wars 2 beta. We’ve only been playing for a short while so far, and not played before, so it’ll be an equally short list of basic tips to start off with, but we’ll add to it as and when we stumble upon tidbits that may be QI to others. Do feel free to add your own tips in the comments and we’ll pop them in the main list with an appropriate attribution. Those of you with ATI/AMD graphics cards may find that upon entering the game world you’re faced with a UI and an otherwise black screen. Press Esc, go into the graphics options and disable Depth of Field, which fixed this in my instance. Apparently the game is optimised for NVidia cards only at the moment, so expect slightly more frinky graphical glitches during the beta if you’re part of The Way It’s Also Possible To Be Played set. The music on the login page is indeed on the loud side – although if any game music were going to have to be loud, I’d take the Guild Wars soundtrack any day. There is a cog icon in the top left corner of the login screen which will open the options page and allow you to reduce the audio levels. When you’re on the character selection screen look to the top left and you’ll see a Contacts icon next to the Options icon. You can check which of your friends is online before you login, and then choose which of your characters to play based on who’s on what and where. Helmets and shoulder-pads can be turned off in the Hero sheet (Press H) by right-clicking the appropriate piece of armour. Useful if those Mesmer masks freak you out as much as they do me. 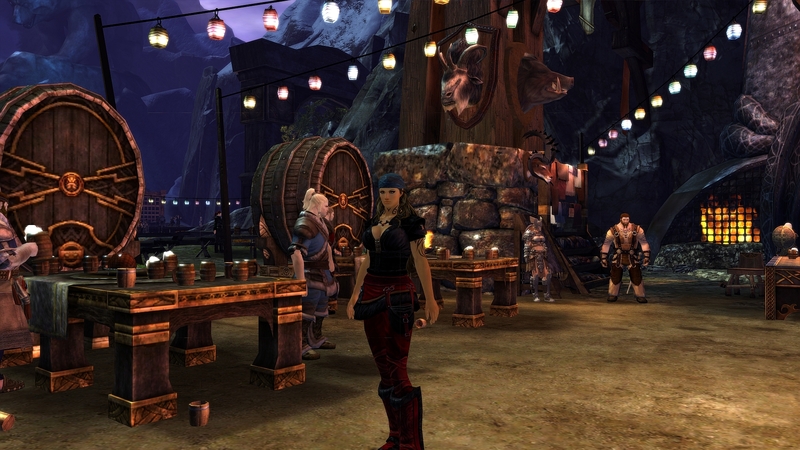 Speaking of outfits: the small icons at the top centre of the Hero sheet above your character model allow you to select your town outfit which, for my norn warrior at least, was a rather fetching pirate get-up that matched her bandana rather nicely. Autoloot can be enabled through the options menu (Press Esc) General Options -> Interactions. It does, however, still show you the icons of what you looted in the bottom right of the screen, and you can mouse-over each one for a description of the item. After a short period of time these icons fade out. Don’t panic! Autoloot does not steal the armour from other PCs: they all look that naked with their armour on. Speak to any scouts you see (they have a spyglass icon above their head), they will often give you information about the area, and point out new events and locations on your map. They are not recruiting for X-Factor or Next Top Model, though. You may need to bind Dodge to a key – it was unbound for me, although I may have used the default key for something else. Either way, make sure it’s bound, and use it whenever you can, it will help to keep you alive as much as ‘6’ (the heal key) will. If you’re taking a screenshot, perhaps for sending to ArenaNet, then consider binding a key to Screenshots: High-Res in the options (Press Esc) Control Options. You can merge your inventory into one large bag by unchecking the Bags checkbox at the top on the inventory screen (Press I). You can keep your inventory nice and neat by pressing the Compact icon next to the Bags checkbox. This will move all items up to the top of the inventory, filling in any empty spaces you may have from selling or equipping items – it’s a nice way to keep all the new loot going in at the bottom of your inventory so it’s easy to find. Don’t just chain-run quests, take time to smell the roses. Unless you’re doing the Smell the Roses quest, obviously. This entry was posted in guild wars 2, ktt, melmoth, mmo, zoso and tagged guild wars 2, ktt, melmoth, mmo, zoso on April 28, 2012 by Melmoth. I was a big fan of STALKER: Call of Pripyat, third of the STALKER series, which knocked off the roughest edges of the earlier games without losing the charm, or perhaps more accurately lack-of-charm, of scrabbling around trying to survive in a grim post-Soviet wasteland. Development of a sequel was troubled with announcement of cancellation, un-cancellation, re-cancellation and un-re-cancellation, but as of a couple of days ago it seems to have finally succumbed to radiation poisoning and/or mutant attack. All is not lost, though, for the STALKER 2 team announced that they’re now working on Survarium, an MMOFPS that looks very much like a spiritual successor. PC Gamer expresses concern about how well STALKER’s values mesh with a massive playerbase, commenters on RPS have slightly more forthright opinions; for the most part “free-to-play MMO” goes down about as well there as “close links between cabinet ministers and News International” at the Levenson inquiry (ooh, little bit of politics). It’s not hard to see why people would be trepidatious about a World of STALKERing, I mused about the possibilities and problems of an online version Fallout: New Vegas a while back, much of which could apply to STALKER, but it’ll be interesting to see what develops, and as per the post title I’d like to suggest an ideal theme tune. This entry was posted in mmo, stalker, survarium, zoso on April 27, 2012 by Zoso. Recent flooding of the river of my life has left me frantically paddling against a tide which takes me ever away from my small quiet pond of gaming solitude, which itself has begun to stagnate. I’ve had little time for gaming or blogging in recent weeks, and I have to confess, I don’t find myself missing either terribly much. Standing at the altar in the Church of MMO, I have found my lack of faith disturbing. It may seem to the contrary –based upon much of my writing here– but I did once believe in the MMO genre. I’ve stood for a long time on the beach of bloggers, watching the tide of new blogs crash and churn with each new wave, and although no two waves are ever the same, the outcome of their enthusiasm and energy often is: rolling and thundering at first, but becoming ever less sonorous as the passion wanes, indifference prevails, placidity thins, before slowly retreating down the beach. Every grain of sand deposited in this way a topic. Every grain of sand the same. The same topics, delivered time and time again onto the beach of blogging, which rests at the foot of the cliffs of the MMO genre. The cliffs remain unchanged, indifferent to the weight of sandy evidence presented at their base, where measuring the progress of the genre is to measure the progress of the sea against a coastline – a measurement of antediluvian span. I hold an answer in my hand. The Grail to some, but to my faithless mind it appears as no more than an empty cup. I should be excited by Guild Wars 2, but I find myself more melancholy, for me this feels less the beginning of an adventure, more a last hurrah – a final farewell to the genre. I do not expect things to change with Guild Wars 2’s release; the tide will roll in once more with a new wave of enthusiasm, soon to be dashed against the unchanging countenance of the genre’s cliff face, leaving behind another sandy layer of blogging topics, every grain the same as those that came before. At which point I imagine I will take to the seas on a small raft built of apathy or antipathy and look for adventure in other lands, for, I will be forced to concede, I can no longer find it on this barren shore. This entry was posted in melmoth, mmo and tagged melmoth, mmo on April 26, 2012 by Melmoth. I think Bioware are taking the Rakghoul Plague event in Star Wars: The Old Republic a bit too far. Shortly after contracting the in-game plague that causes your character to become feverish and start vomiting, I managed to to contract some sort of out-of-game unpleasantness causing a fever and vomiting. Coincidence? Well, probably. But I’m avoiding Tatooine for a while, just in case. This entry was posted in plague rages, zoso on April 23, 2012 by Zoso. Along with the big 1.2 game update Bioware have reactivated accounts for former Star Wars: The Old Republic subscribers for a week, so I’ve popped a nose back in for a bit of a look around. I had been slightly miffed at missing out on a free month of subscription; active users with a level 50 character on April 12th got an extra 30 days of game time, and I would’ve strongly considered resubscribing to qualify but only found out on April 13th. Since a bit of unhappiness, not least from people without a level 50 character, they’ve tweaked the offer slightly to also cover people who’ve reached Legacy Level 6 across multiple characters, and you qualify if you have an active sub on April 22nd, so I’ll probably dig out the credit card after the free week for a bit more dabbling. Picking up a couple of Melmoth’s links from yesterday, Richard Bartle talked about the lack of story-focused content in 1.2. The Legacy system does give an incentive for playing different characters, and a levelling boost for alts makes some sense in allowing you to focus on the class missions and perhaps skip some of the content seen on previous characters. Overall, though, individual character-specific stories don’t seem to have changed or advanced since launch. 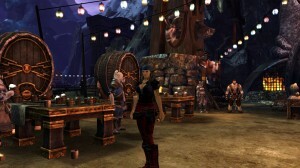 This entry was posted in games, mmo, swtor, zoso on April 17, 2012 by Zoso. You have to wonder if the team behind Star Wars: The Old Republic is getting a bit desperate. First the controversial-to-some promotion of gifting players with level capped characters free subscription time. Now there’s a live event which, to this outsider, seems suspiciously similar to a well-known bugged event in World of Warcraft. I mean, I know that BioWare seem to be throwing story to the wind and pasting in more end game raid content, but do they really need to copy World of Warcraft’s bugs too? Or maybe they consider this one to be a feature. In all fairness (and slightly more seriousness), the event seems to be quite the hit with many SWTOR players, so I guess it’s not entirely a bad move to replicate some of the more notorious events from the Disney of theme park MMOs, while placing them in a more controlled environment. What I want to know is, are they trying to respond to the Mists of Pandaria beta by appealing to World of Warcraft players, or the ‘pre-players’ of Guild Wars 2’s rather successful recent pre-post-pre-order-purchase activation, or both? Certainly, to my mind, they seem to be desperately scrambling to respond to something, I’m just curious as to what that something is, and why they feel the need to respond so soon in their game’s life. This entry was posted in melmoth, mmo, swtor and tagged melmoth, mmo, swtor on April 16, 2012 by Melmoth. Sometimes I think that the only real battle fought in an MMO is between the developer and the metagame. This entry was posted in melmoth, mmo and tagged melmoth, mmo on April 11, 2012 by Melmoth. Passion is a positive obsession. It was while casting about for an MMO to play that a friend suggested I could perhaps look again at Guild Wars, seeing as I intended playing the game’s successor upon its arrival later this year. I’ve tried to get my hook into Guild Wars several times before – the original Prophecies campaign, then Factions, before trying once again with Nightfall sometime after its release, several years ago. I launched Guild Wars late on Friday evening last week, perched my virtual self on the bank of the computer’s memory, then cast my line lightly and without conviction into the digital depths of the game’s design. What leviathan of immersion rose from the deep I cannot tell, but with gaping maw it took both hook and line and pulled me down, and for the greatest time there was nothing but the beat and surge of it – the primal urgency of that rhythmic stroke sending the creature into the impossible darkness of the infinite. Trapped in the tow, I tumbled along in its wake. On Monday I managed somehow to disentangle myself from the line, and with desperate resolve kicked myself upwards. I broke the surface of that digital dream, my mind gasping at the marvel of it. My character was at the level cap, and as I pulled myself to the virtual shore I considered my adventure close to complete. I looked back on the distance I had come –the opposite shore of the lake into which that beast of obsession had dragged me was visible on the horizon– and couldn’t help but feel a little disappointed that the journey was almost at an end. It was then that the aforementioned friend arrived in the guise of a guide. With the kindly chuckle of a parent bemused at the innocent naivety of a child, the guide parted a section of thick vegetation surrounding the lake and bid me look beyond. It revealed to me the extent of my journey thus far, and it was clear: I had but stepped upon the path, and no further. The expansive river of progression stretched out before me, its distributaries of activity branching off in many directions; the sea of possibility followed, wide open and dynamic, stretching all the way to the horizon. And so tonight I cast my line once more, and hope that the monstrous exigency of play will rise once again, take hook, and pull me onwards and downwards into the fantastical fathoms of Tyria. 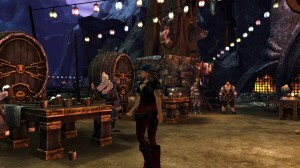 This entry was posted in guild wars, melmoth, mmo and tagged guild wars, melmoth, mmo on April 10, 2012 by Melmoth.